Vehicles have become a necessity for each one of us. 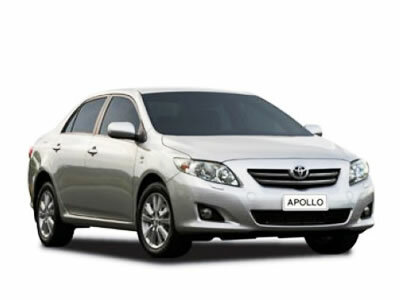 Having our own vehicle means, we can go to the various places easily in quick time. It helps to simplify our means of conveyance to a great extent. However, not every one of us can afford to buy a new vehicle. The vehicles especially the cars are quite expensive. People have to pay a large sum of money to buy the car they need. Further the expenses of petrol are also not less. Petrol prices are increasing regularly at a faster rate. It is extremely necessary that as a customer you make the right decisions before actually buying the car. You must understand your needs of the car very well. Different people require a car for different purposes. There are some of them who just need a simple used car from car dealers so that they can improve their means of daily conveyance. On the other hand, there are people who look to buy a new car and are ready to pay the amount required to own a car. As a customer, you need to understand your budget limitations and needs properly so that you can choose the right car for yourself. After you've done so, you must look for a good car dealer. There are many car dealers who are expert at their business. The car dealers deal in a variety of cars ranging from the new ones to the used ones. You must understand the working plans and policies of the car dealers. You must go ahead with the deal only then. Among the various car dealers present around your area, there is only one car dealership that provides quality cars and flexible deals to all its clients. This car dealership is the Jax Whole Sale Cars. Jax Whole Sale Cars is one of the best car dealers in Adelaide that will definitely suit your requirements. This dealership deals in variety of cars of the top automobile brands. The clients can easily get a good deal for themselves through negotiations. The staff and officers at Jax Whole Sale Cars are there to help you out in the best possible manner. They will guide you properly in the right direction and assist you in choosing the right car as per your requirements. If you are staying around Fulham Gardens, Edwardstown, Magill and Salisbury, come to our showroom at Clearview to view our range. The choice is ultimately yours. You can opt to buy the car from the dealer who gives you the car at best price.